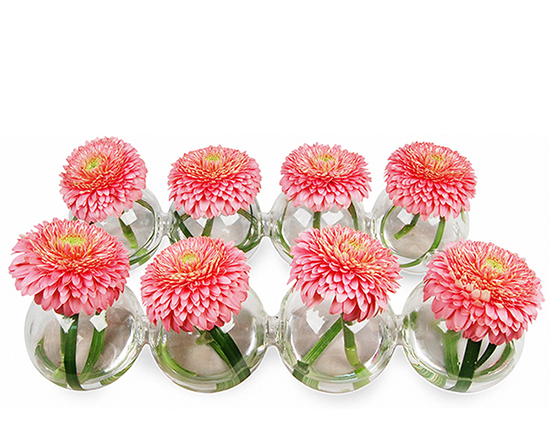 Interconnected Bud Vase Spheres: Clear, End to end dimension: 12.5" x 7.5" (1 piece) Discounts Apply ! Interconnected bud vase spheres (D=3") in two rows of 4 spheres forming a rectangle. End to end dimension: 12.5" x 7.5"